"Medical Mistakes in Doctors Novels," Cornelis H. (Kees) Langeveld, Nederlands Tijdschrift Geneeskunde, 2011;155:A4372. OBJECTIVE: To investigate whether doctors novels give a realistic picture of medical practice. METHOD: 6 items in total from two series of doctors novels (4 Dutch ‘Doctors novels' and 2 ‘Dr. Anne Maas' publications) were examined. RESULTS: The series ‘Doctors novels' was translated from English, the ‘Dr. Anne' novels were written by Dutch authors. The medical situations were located mostly in hospital emergency departments and operation rooms. Medical specialisms were represented mainly by surgeons, emergency care doctors, orthopaedic specialists, cardiologists and gynaecologists. In the series ‘Doctors novels' most of the patients described suffered a trauma. In the ‘Dr. Anne' series the patients admitted to the emergency department had a greater range of medical conditions. In the series ‘Doctors novels' 3 of the 4 main characters were pregnant. In one case, giving birth was described in detail. CONCLUSION: The doctors novels which were studied give an unbalanced and distorted view of medical practice. The medical information was sometimes incorrect, partly due to lack of knowledge by the author, partly due to incorrect translation from English. 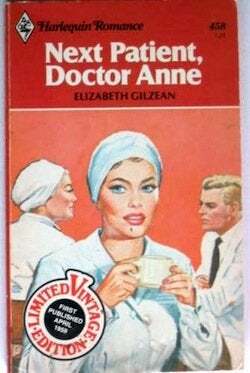 The reality of medical practice was not represented accurately in either of the series investigated, although the medical information in the ‘Doctors novels' series appeared to be accurate more often than that in the ‘Dr. Anne' series.